With the new year and resolutions to get organized, we all could use a little help! There are lots of containers at Dollar Tree and here’s just a few ideas for organization and storage. I found little oval green tubs that fit easily in my desk for all sorts of storage. These little red containers with snap lids to hold smaller items like paper clips, safety pins,etc so they don’t spill out all over the place. My son even uses them to hold small toys he doesn’t want to lose! Check out our post on the zip bags too. I also found colorful flags for marking my calendar and projects and 1 x 3 inch sticky notes to add notes where needed. I also found decorative tape I use in my calender to make dates and events I really want to pay attention to! All I do it cut the tape to the size of the corresponding day on my calender and write the event on it! Easy! Easy! And really draws your eye to the eventful day! If you are looking for ways to organize your home, good way is to start at your desk! Clean out a drawer and organize it! It’s a relief to know that’s one less place you have to wonder what’s in it! I find that containers help me keep things in one place and make it easy to find them later. Dollar Tree has containers of all sorts of shapes and sizes! Just look around the store cause you’ll find them in several different places! Don’t forget to look in the school supply section for great little organizational finds! 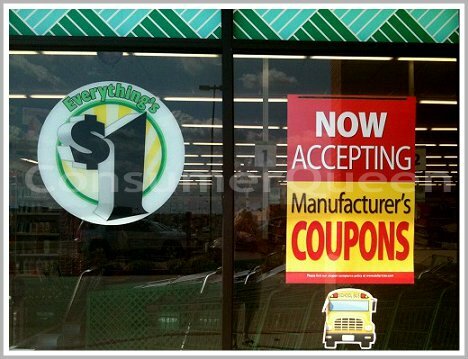 Dollar Tree only accepts 2 printable coupons total per shopping trip. Dollar Tree limits 4 identical coupons per shopping trip. Inventory differs per store but check your location for the following money savers. Check out all rest of our Dollar Tree deals! Since the coupon states that it is illegal to buy them and I would hate to have you do something illegal, I am not able to give you anywhere to buy them. There are lots of places that you can get coupons though. They are in the Sunday newspaper, on Facebook, peelies in the store, and our coupon database is a wonderful place to be able to find coupons. Thank you for the question!